6 Shall a trumpet be blown, in the city, and the people not be afraid? shall there be evil in a city, and the Lord hath not done it? 7 Surely the Lord God will do nothing, but he revealeth his secret unto his serveants the prophets. be cut in pieces, though all the people of the earth be gathered together against it. Zec 12:9 And it shall come to pass in that day, [that] I will seek to destroy all the nations that come against Jerusalem. .
New Alliances are being REFORMED as I am writing/. NEW MOSQUE will look similar to this only much, much, much BIGGER, and the colors will be Brighter with Red, blues, yellow etc. I had a Vision in 2005 of the New Mosques to be Built on the Temple Mount.In my Vision I saw 3 Mosques/But this could have just meant that all 3 Mosques would be United into one/since that is what is Now being Planned. The Next Temple to be Built on the Temple Mount , will be New Mosque's. 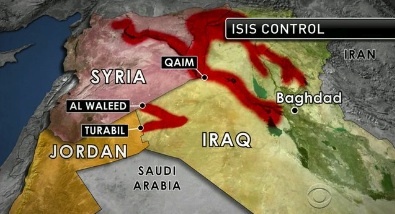 Just as the Lord Predicted in 2011 GOD is not done with Wiping IRAQ off the Map. Read Old 2011 Prediction below as well as this Up Dated Version. That same WORD has already predicted the Future of IRAQ. ( old Babylon) In Gods time table, he doesn't recognize Time. He talks about Israel's enemy's as if what they had done 3,000 years ago, was like yesterday. God has spoken out against this nation, and because of what they did to Israel, and the Prophets of old, he has determined what is going to happen in Iraq, NOT THE USA. It doesn't matter how much time we waste trying to help this Nation, God is not going to change his mind, and see them as friends of Israel. IRAQ is on God's HIT LIST. He has decreed their Dome, and it is only a matter of TIME till the whole place is Leveled. In Matt 12 we have an illustration of what happens when Unclean spirits are Cast out. If we really carried about the people in IRAQ, we would be there preaching the Gospel, and telling them all to FLEE because the Wrath of GOD is coming on that country, and the end of if will be that NO ONE WILL EVER BE ABLE TO LIVE THERE AGAIN. Read in Jeremiah 51: 37 to the end. Since he did not destroy Babylon at that time, then the Prophecy has yet to be fulfilled. The terror that befalls Babylon will be the work of the Lord God. Jer 50:26 Yes, come against her from distant lands: break open her granaries: knock down her walls and houses into heaps of ruins and utterly destroy her, let nothing be left. We are told just where Jeremiah was to speak, and of course he spoke against Babylon, in Babylon and he was to throw the scroll into the Euphrates river, which is right there in Iraq on the southern border with Iran. So Don't try to confuse this by think he is talking about another New Babylon. NO, this is God dealing with an enemy of Israel in his own TIMING, God is not on a linear time table. God talks about Israel's enemy's as if they just did this, but it was 3,000 years ago . He even calls them Chaldeans, so there is No mistake, since Chaldeans where from Babylon. Democracy is NOT going to Save any Nation, God has already Pronounced Destruction upon. God is not interested in Saving Israel's enemy's. IRAQ WILL BE LEVELED, NO ONE WILL EVER LIVE THERE AGAIN WHEN GOD GETS DONE. Now that the US has Pulled out of Iraq, it leaves the door open for the enemey to return and then this country will end up 7 times worse then it was. In Gods time table, he doesn't recognize Time. He talks about Israel's enemy's as if what they had done 3,000 years ago, was like yesterday. God has spoken out against this nation, and because of what they did to Israel, and the Prophets of old, he has determined what is going to happen there, NOT THE USA. It doesn't matter how much time we waste trying to help this Nation, God is not going to change his mind, and see them as friends of Israel. IRAQ is on God's HIT LIST. He has decreed their Doom, and it is only a matter of TIME till the whole place is Leveled. If we really carried about the people in IRAQ, we would be there preaching the Gospel, and telling them all to FLEE because the Wrath of GOD is coming on that country, and the end of if will be that NO ONE WILL EVER BE ABLE TO LIVE THERE AGAIN. Read in Jeremiah 51: 37 to the end in the LIVING BIBLE. The terror that befalls Babylon will be the work of the Lord God. Yes, come against her from distant lands: break open her granaries: knock down her walls and houses into heaps of ruins and utterly destroy her, let nothing be left. So Don't try to confuse this by think he is talking about another New Babylon. NO, this is God dealing with an enemy of Israel in his own TIMING, so we can't get it since, we try to Read the WORD on a linear time table. God talks about Israel's enemy's as if they just did this, but it was 3,000 years ago to us. He even calls them Chaldeans, so there is No mistake, since Chaldeans where from Babylon. Democracy is NOT going to Save any Nation that God has already Pronounced Destruction upon. God is not interested in Saving Israel's enemy's. During the LONG court case concerning our Cross here in San Diego on Mt Soledad, we where spending alot of time Praying about this issue as well as signing petitions, and voting on it. I had a Vision end of 2006 of the Cross. I was Caught up in the Air and from way Above the Cross Looking Straight Down at the Cross and the whole Hill, I could see the Whole Land scape. I saw that the Hill and the road to the Cross was destroyed, and fallen away. It Looked like half the hill was gone. At that Time I did not know how to interprete the Vision . What God was showing me was that he was going to Cut Off all Access to the Cross. But it was a long Wait for that VICTORY. So I was Blessed with having had the Vision of that Victory ahead of Time. Now I see that the Warfare Over the Cross was God Lifting Up his Standard. God is Going to Do some Strange things in these last Days, concerning his LAND for his Name Sake. The Lord said he wanted to teach his Church how to MOVE MOUNTAINS!